There are two types of Bitcoin transactions, one is coinbase transaction and other is normal transaction. we will discuss only normal transactions here. Transaction consists of version number, inputs, outputs and locktime. 4-byte version number tells bitcoin peers and miners that it follows certain consensus rules, so peers and miners can validate & verify them according to those set of rules. 4-byte Locktime field is used to set time in future when transaction will be ready to included in blockchain. Transaction has inputs and outputs, inputs spends unspendable outputs of previous transaction, whereas outputs sits as (UTXO) unspendable outputs until some input spends them.A transaction can have multiple inputs and outputs. Structure of Transaction looks like. An output has 4-byte index number, (default 0), amount in satoshi to spend and a pubkey script. A input uses transaction identifier and output index number with signature script to spend previous output, the signature script is a collection of data parameters which satisfies pubkey script included in output which current input is spending. Every input has a 4-byte sequence number, it is usually set to maximum, but to disable time locked transaction,at least in one input it should be set less than maximum. 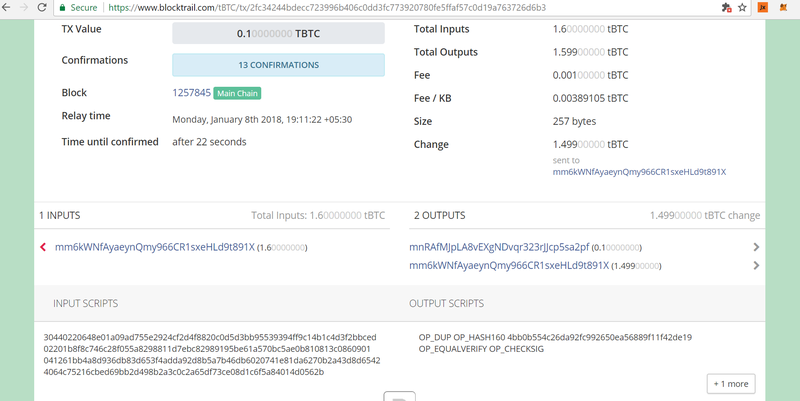 A raw transaction has to be serialised, according to structure mentioned here Bitcoin Raw Transaction format. After serializing a transaction in raw transaction format, we need to sign it and signature script will be added to inputs. When bitcoin node will process transactions it will validate that new signature script corresponds to previous pubkey script. For more: How P2PKH script validation works. In signature script, there are two components one is signature and second is public key of spender. // wif is b58check encoded wif privkey. // hash is byte array of transaction digest. // badrs is used only if the k resulted in bad r or s.
// some necessary things out of the way for clarity. // loop if KBigInt is not in the range of [1, N-1] or if badrs needs incrementing. This completes our transaction object. There are other utility functions like address decoding,private key to wif format, public key from privkey,number to bytes etc, which are not explained here, but are included in full working code, which is embedded as plunk at the bottom of this post. In this transaction, we have two UTXO(Unspent Outputs), one corresponds to address mnRAfMJpLA8vEXgNDvqr323rJJcp5sa2pf at index 0 and another to mm6kWNfAyaeynQmy966CR1sxeHLd9t891X at index 1.
mnRAfMJpLA8vEXgNDvqr323rJJcp5sa2pf, 1.499 BTC to self, and remaining 0.001 BTC will become transaction fees. for creating this signed raw transaction, i have made a simple html page on plunker which is embedded here at the bottom, you can also try. 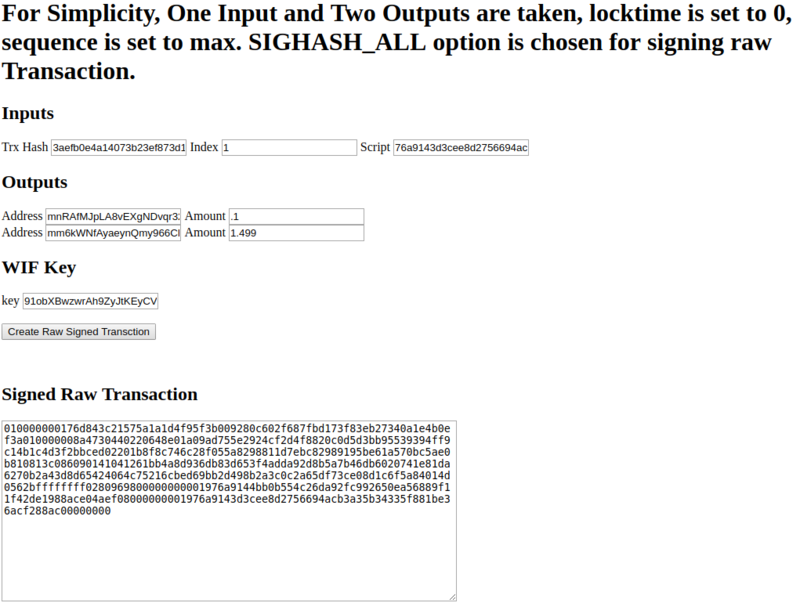 Here is an screeshot taken after creation of transaction. and can broadcast it here: https://live.blockcypher.com/btc-testnet/pushtx. Bitcoin Transaction Guide @ bitcoin.org. 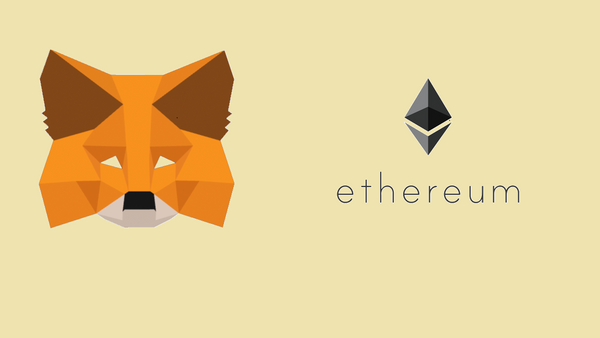 Compilation of questions & answers for cryptocurrency beginner.